Christian Dotremont, (12 December 1922 – 20 August 1979), was a Belgian painter and poet who was born in Tervuren, Belgium. He was a founding member of the Revolutionary Surrealist Group (1946) and he also founded Cobra together with Danish artist Asger Jorn. He later became well known for his painted poems (French: Peinture mots), which he called logograms. Tervuren is a municipality in the province of Flemish Brabant, in Flanders, Belgium. The municipality comprises the villages of Duisburg, Tervuren, Vossem and Moorsel. On January 1, 2006, Tervuren had a total population of 20,636. The total area is 32.92 km², which gives it a population density of 627 inhabitants per km². 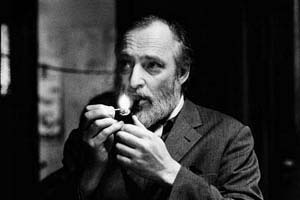 Asger Oluf Jorn was a Danish painter, sculptor, ceramic artist, and author. He was a founding member of the avant-garde movement COBRA and the Situationist International. He was born in Vejrum, in the northwest corner of Jutland, Denmark, and baptized Asger Oluf Jørgensen. Pierre Alechinsky is a Belgian artist. He has lived and worked in France since 1951. His work is related to tachisme, abstract expressionism, and lyrical abstraction. Constant Anton Nieuwenhuys, better known as Constant, was a Dutch painter, sculptor, graphic artist, author and musician. The Tervuren, is named after a village in Belgium. Its classification varies, being classified under some breed standards as a breed in its own right, and in others as one of several acceptable variations of the Belgian Shepherd Dog. It is usually listed within breed standards under one or other, or a combination, of these names. George Albert Boulenger was a Belgian-British zoologist who described and gave scientific names to over 2,000 new animal species, chiefly fish, reptiles, and amphibians. Boulenger was also an active botanist during the last 30 years of his life, especially in the study of roses. The Royal Museum for Central Africa or RMCA, colloquially known as the Africa Museum, is an ethnography and natural history museum situated in Tervuren in Flemish Brabant, Belgium, just outside Brussels. It was first built to showcase King Leopold II's Congo Free State in the 1897 World Exhibition. The Bonnefanten Museum is a museum of fine art in Maastricht, Netherlands. Flory Van Donck was a Belgian professional golfer. Jacques Calonne is a Belgian artist, composer, singer, actor, logogramist, and writer. Albert Coppé was a Belgian and European politician and economist. Max Fernand Leon Poll was a Belgian ichthyologist who specialised in the Cichlidae. In the years 1946 and 1947 he organised an expedition to Lake Tanganyika. Louis Van Lint was a Belgian painter, major figure of the Belgian post-war abstraction. Joseph Noiret was a Belgian painter, writer and poet. He was also the founder of COBRA and Review Phantomas, and director of La Cambre long. Achille Emile Meeussen, also spelled Achiel Emiel Meeussen, or simply A.E. Meeussen (1912-1978) was a distinguished Belgian specialist in Bantu languages, particularly those of the Belgian Congo and Rwanda. Together with the British scholar Malcolm Guthrie (1903-1972) he is regarded as one of the two leading experts in Bantu languages in the second half of the 20th century.